Since it's creation, Apple's mission has been to empower the masses to create whatever the hell it wanted to make. The Cupertino, Calif.-based company made it it's business to become synonymous with the word "creative". However, Apple didn't want the only creative people to be ones who cashed checks off their talent. It wanted everyone to create. That's why it released programs like iPhoto and iMovie for people who didn't want or need to master Adobe Photoshop or Final Cut Pro. If you ever played around with iMovie you know it's a straight forward video editor that lets you splice clips together with a little background music and some simple titles. Well, that's what it used to be. The program which was released in 1998 as a Mac OS 8 application, and now comes free with every new Mac, has gone through many revisions, adding tons of features along the way. Now in it's ninth iteration, iMovie '11 is pretty damn powerful. 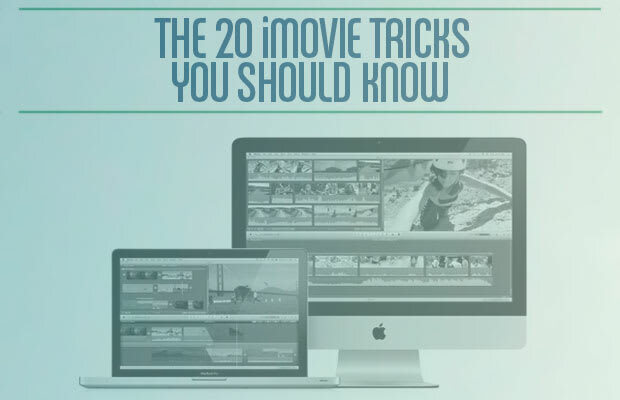 But to wrench the most out of the little video editor that could, you should take a look at the 20 iMovie Tricks You Should Know.